The Sign Kit Blanks are easily decorated with paper on the back Plaque and paint on the front Trim. 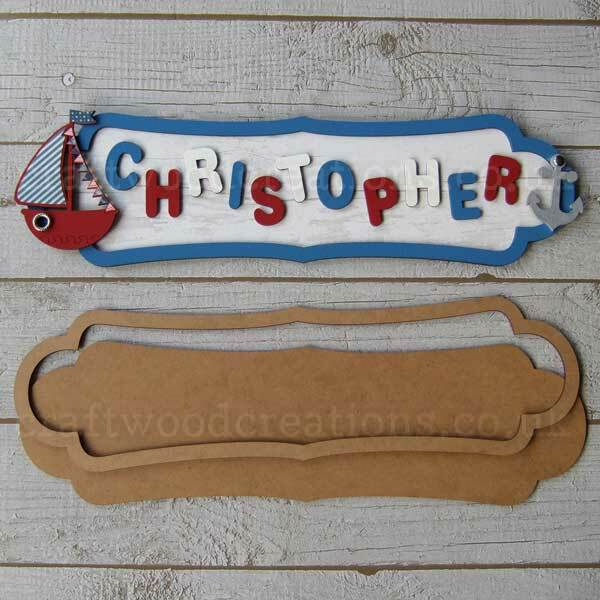 Add Names or Words of your choice plus additional Large MDF Shapes, Buttons etc. Designed to be used with our 35mm high MDF Letters as pictured. Letters are 20p each when purchased with a frame.